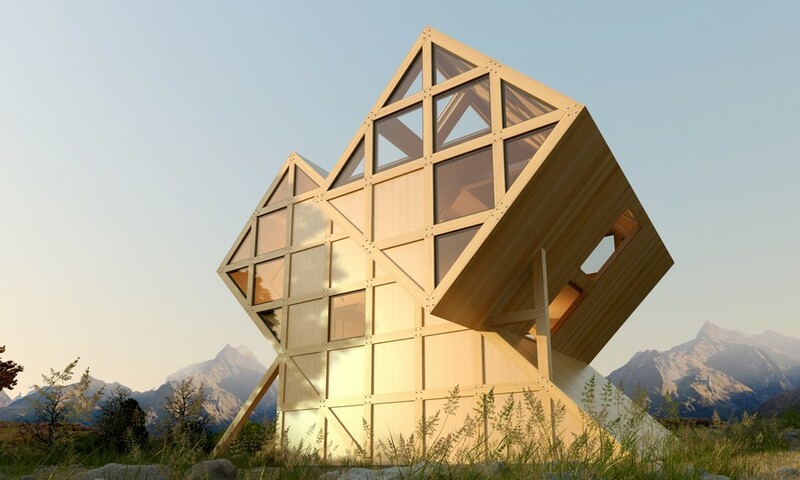 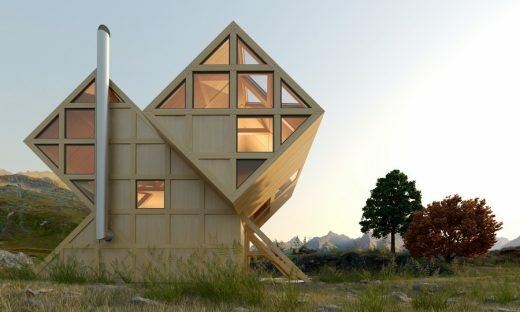 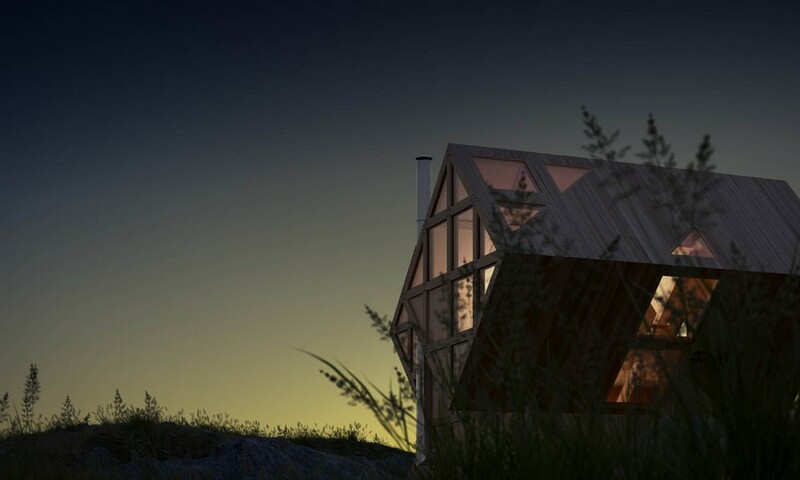 Kostiantyn Kuvika, the principal architect of the project, was inspired by the natural asymmetry of the mountains while creating the Valley House concept. 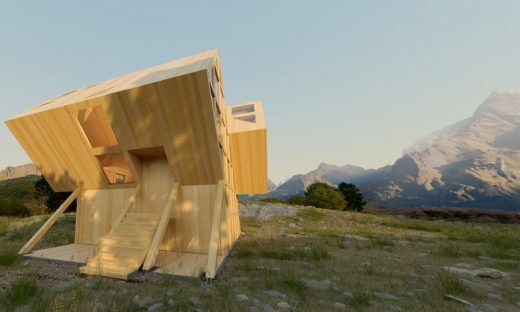 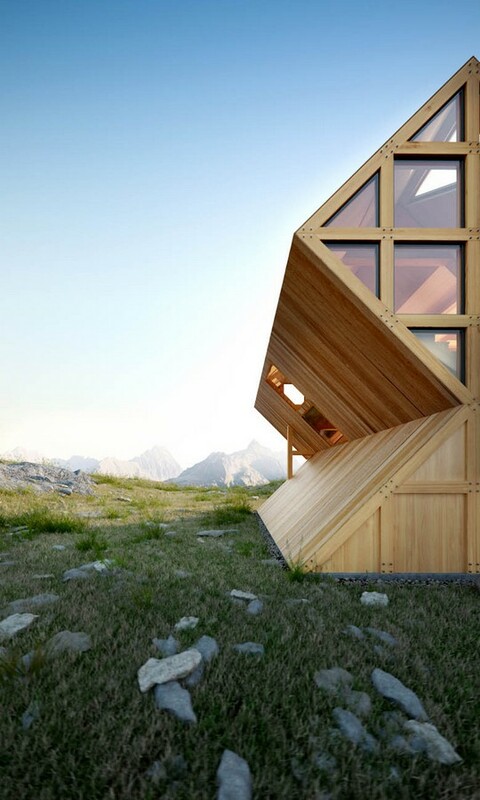 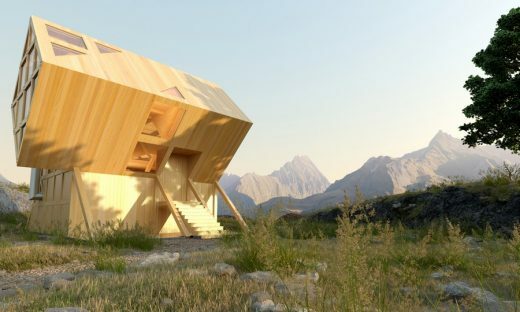 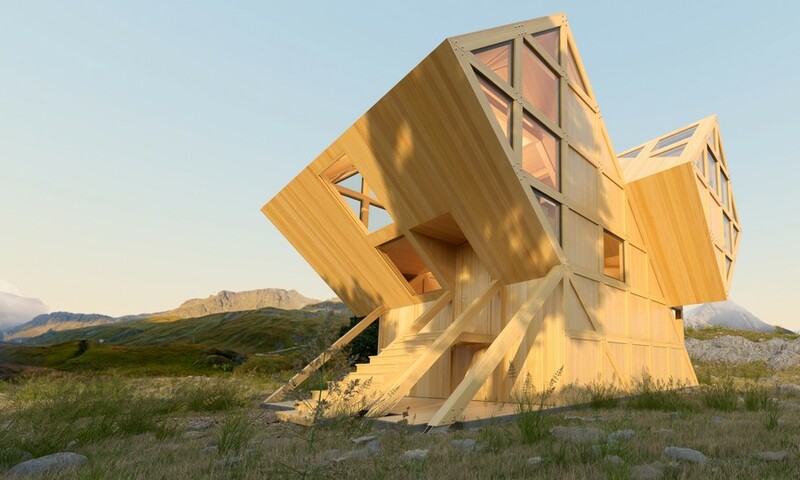 Unique shape of the house reflects mountain lines and can be easily integrated into the natural environment. 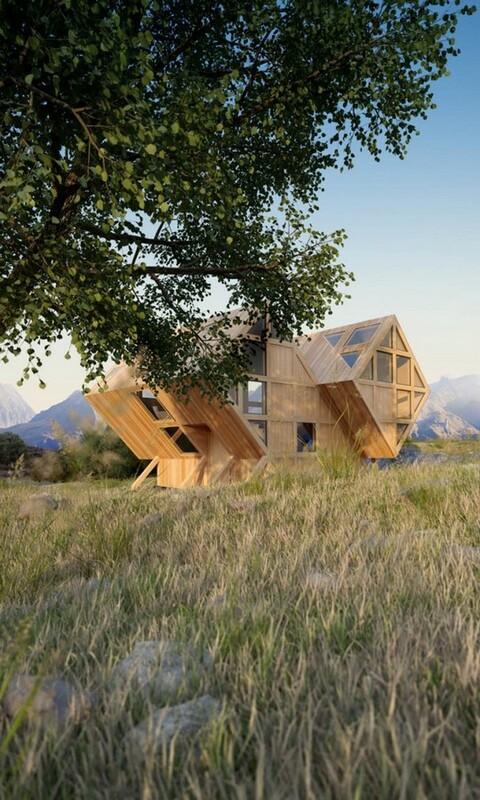 The Valley House can be located at areas, constrained by a small site. 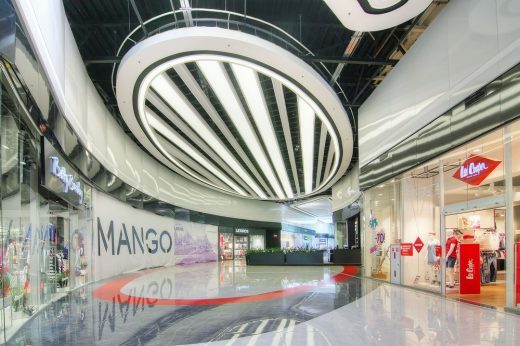 Diagonal construction of the space provides blurred transitions between the functional areas and creates visual lightness. 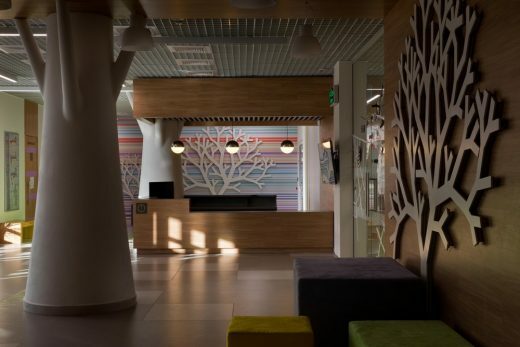 Wood as the main material in interior creates a delicate, warm atmosphere. 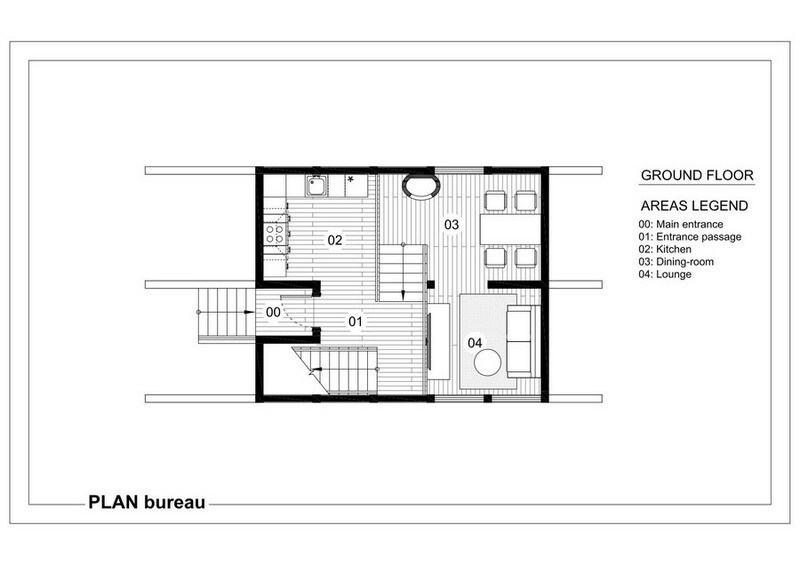 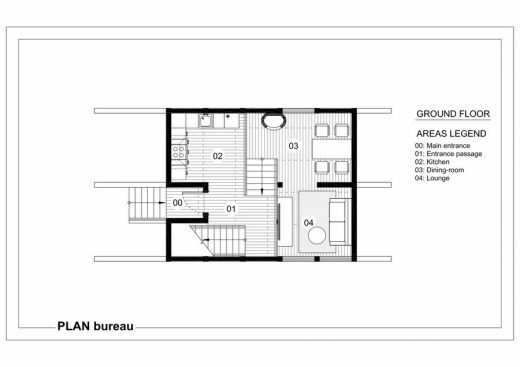 Despite the visual tininess, the house is very functional and spacious. 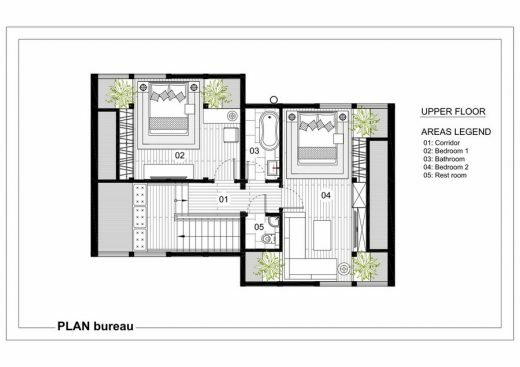 Kitchen is located at the lowest part of the ground floor, a higher level houses dining and lounge area, and the highest level contains two bedrooms, toilet and bathroom. 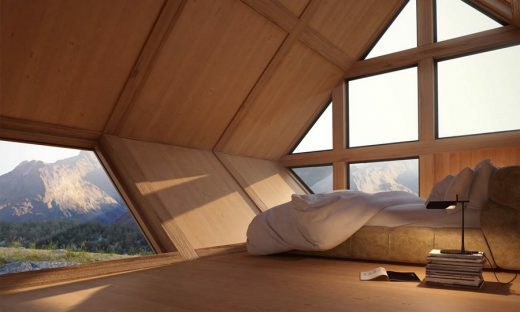 Asymmetric windows on the sloped walls and ceilings allow observing horizon and natural scenery from different viewpoints, as well as getting different levels of lighting throughout the house. The Valley House combines cozy internal space and natural environment integrity with contemporary architecture features. 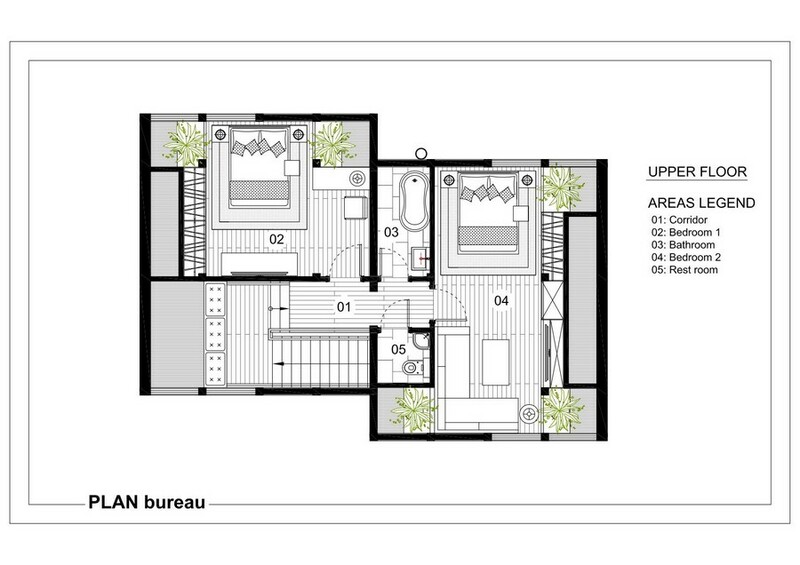 This residence is designed for getting the most relaxation and pleasure from the symbiosis between a human and nature.